Modern business world does not tolerate delay in price efficiency. But in order to transfer money, you need to go to the Bank and stand there in long queues, it is pointless wasting your precious time. 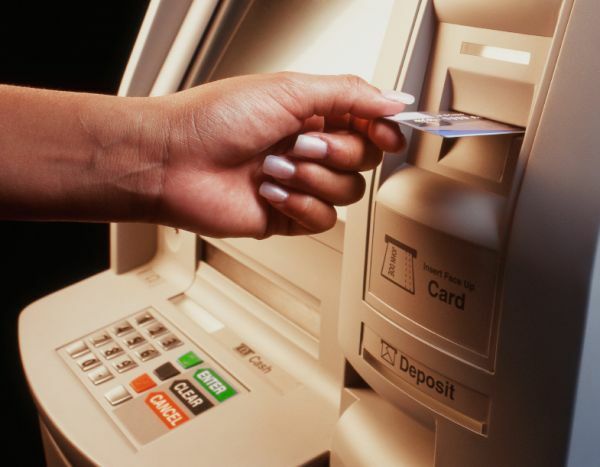 The real solution to this problem steel payment terminals, which can be found at every step. 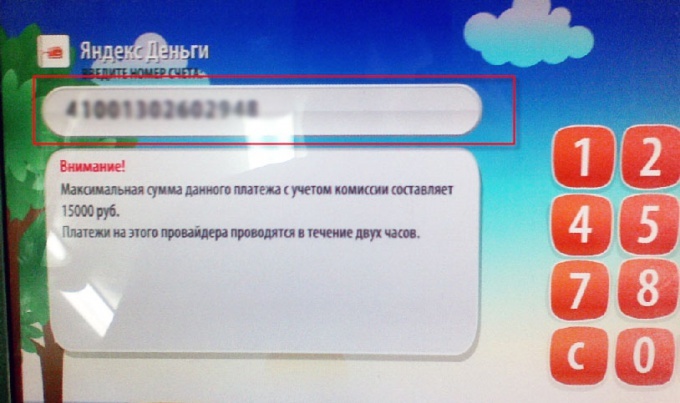 Let us examine, for a start, a few options of transferring money through terminals of instant payments company QIWI. 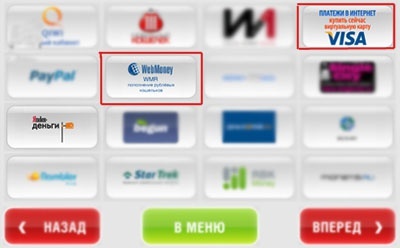 The most common transactions are considered transfers of money to Webmoney, Visa, Yandex money. In order to transfer the desired amount of cash to any of the accounts (yours or others) find QIWI terminal. It's pretty simple, as these terminals are almost every step (about public transport in many of the store). 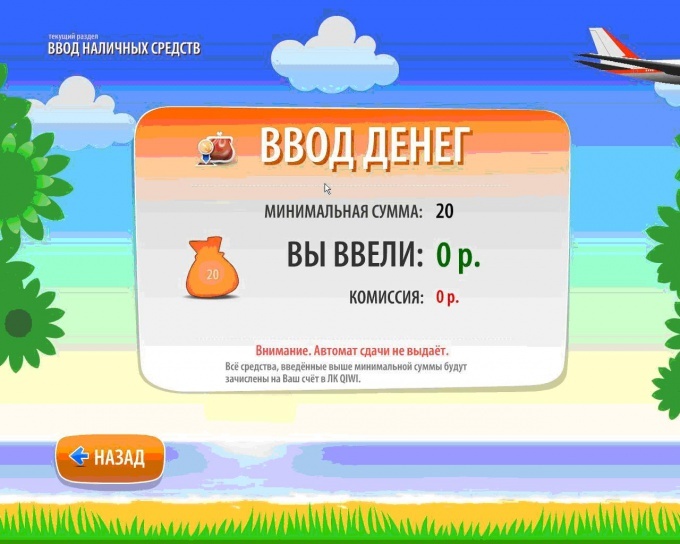 The transfer of funds to "Yandex money". In the main menu on the terminal screen select "Payment services". Button "credit card Payment" on the terminal display a bright blue color and is in the top (see accompanying picture). This will open a list of possible operations. In this list you will need to choose the category of "Electronic Commerce" and enter into it. It's light green button with a dollar sign. In the second row it is the second in a row (see related picture). Now from the list of providers select "Yandex Money". This is one of the white buttons with the appropriate label (see the accompanying picture). And wait for a response of the terminal. 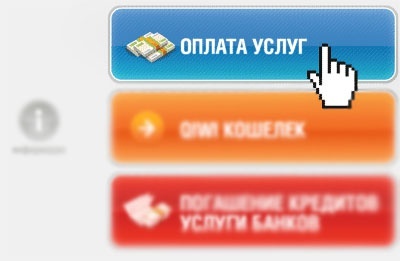 In the rectangular window enter your account number in Yandex Money. Be extremely careful when entering. Better several times recheck the correctness of your room. Then click "Forward". In the displayed string type the number of YOUR mobile phone. Then click "Forward". And wait for a response of the terminal. Now make the necessary amount of cash (insert the bill into the bill acceptor) and click "Next". Don't forget the terminal QIWI (KIWI) does not surrender. The transfer of cash to the "Webmoney"or card of "Visa" is made in the same way, only from the list of providers should select the corresponding item in the "visa" ,"Visa" (see related picture).